10. On her birthday, Queen Maxima of the Netherlands wore diamonds and multicolored pearls at a foundation congress in The Hague. 9. In Copenhagen, Crown Princess Mary of Denmark wore statement earrings to give a plenary address at the opening of the Women Deliver conference. 8. Queen Letizia of Spain wore statement earrings by Tous for a visit to the Observatory of Specifity Castilla La Mancha on Wednesday. 7. 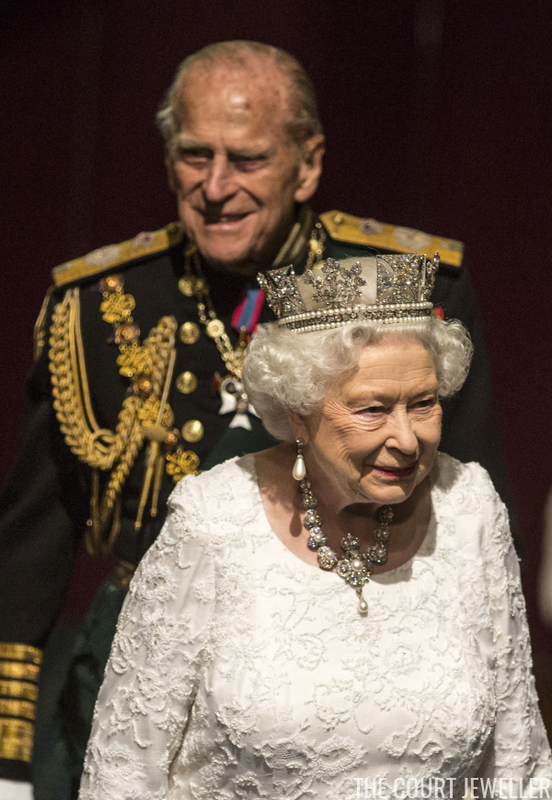 For the Windsor celebration of the Queen's 90th birthday on Sunday, the Duchess of Cambridge wore a pair of diamond chandelier earrings that are, appropriately, on loan from the Queen herself. 6. During the state visit to Belgium, Queen Rania of Jordan wore her petite Boucheron Bracelet Tiara with an impressive pair of diamond earrings. 5. 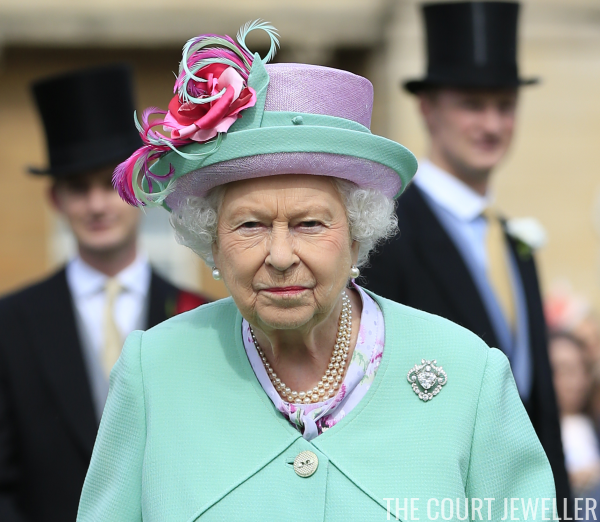 For a garden party at Buckingham Palace on Thursday, Queen Elizabeth II of the United Kingdom wore one of her most important brooches: the Cullinan V Brooch. 4. 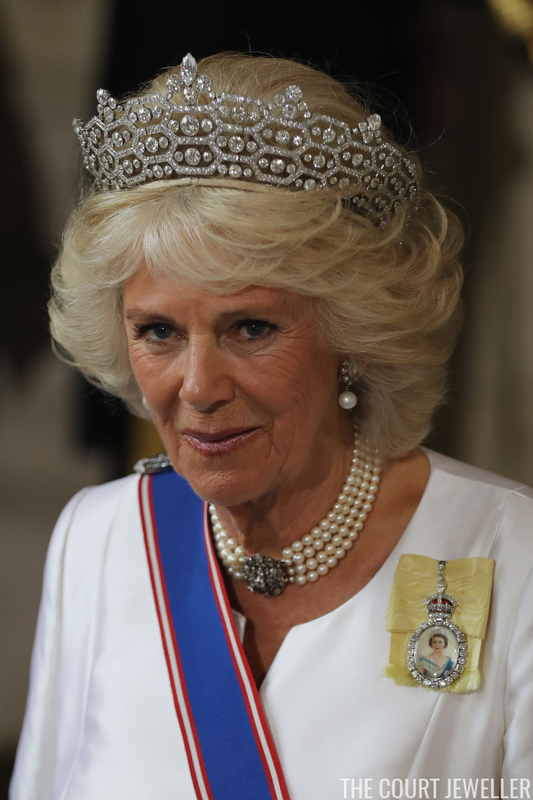 The Duchess of Cornwall wore familiar -- but incredibly grand -- gala jewels for Wednesday's State Opening of Parliament: the Greville Tiara, her pearl choker necklace with the small round diamond clasp, and pearl and diamond earrings. 3. In Belgium, Queen Mathilde attended the state banquet wearing three pieces of jewelry that were all worn by the late Queen Fabiola: the bandeau base of the Nine Provinces Tiara, Fabiola's pearl and diamond earrings, and Fabiola's ruby and diamond bracelet. 2. 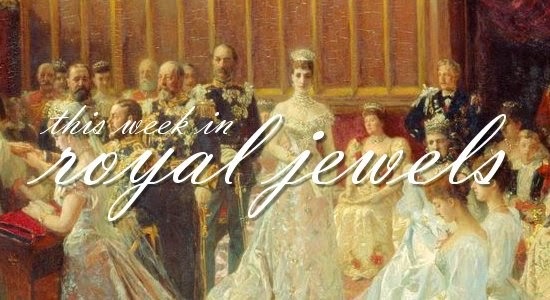 For her arrival and departure from parliament on Wednesday, Queen Elizabeth II donned three pieces of jewelry with incredible royal histories: the George IV Diamond Diadem, Queen Victoria's Golden Jubilee Necklace, and Queen Victoria's Pearl Drop Earrings. 1. 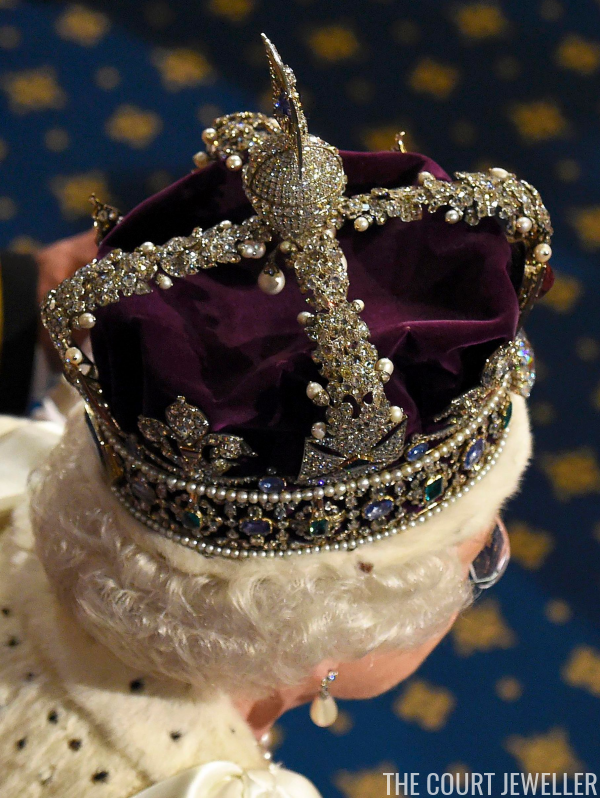 How can you top the Imperial State Crown? You can't. You just can't.